As a family, we absolutely love to travel. We don't get away much as we'd like to, but when we do go, it's always the highlight of our year. We've taken LO away on quite a few trips, including Greece, Menorca, Porto Santo, France and skiing in the Alps. 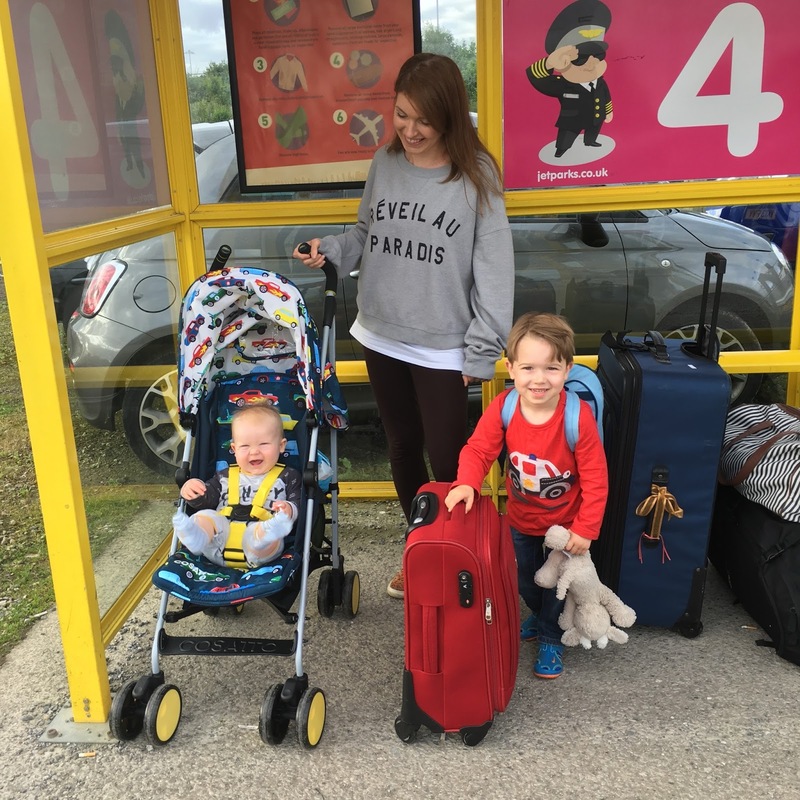 Now we have two little boys, it does make travel a little more difficult but we try to take travelling in our stride and with a little extra careful planning, holidays with young children can be truly magical. 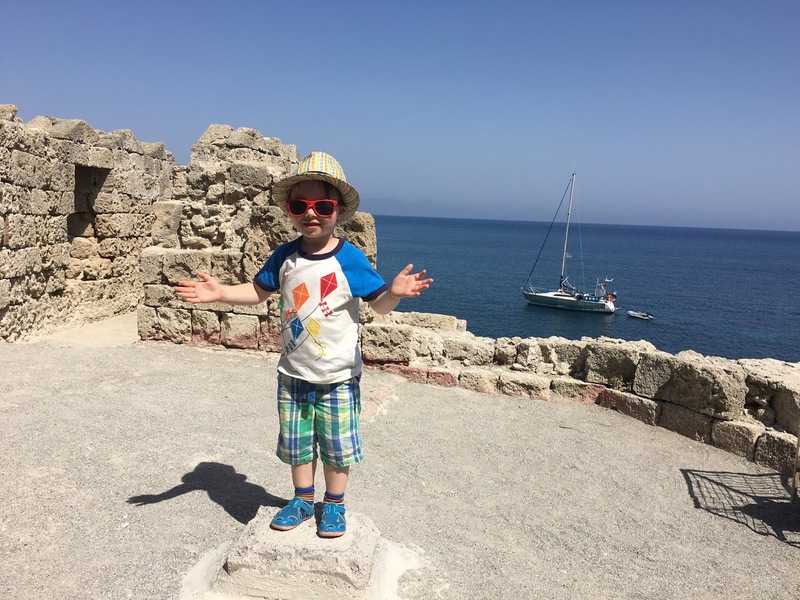 I wanted to share a few of our top tips for how to have a stress free holiday when travelling with young children. These are things I've learnt first hand from our holidays with LO and Little L over the last four years. When planning your holiday, think carefully about what sort of holiday is going to suit your family best. There are so many options when it comes to types of accommodation, from all inclusive resorts, hotels offering half board to self catering apartments and villas. It's important to decide whether you want to prepare your own meals or whether you'd prefer to have all your meals provided for you, and use this to help you work out what type of holiday you want to go for. A great starting point is Tots to Travel; a family travel specialist who help to craft the perfect family holiday. 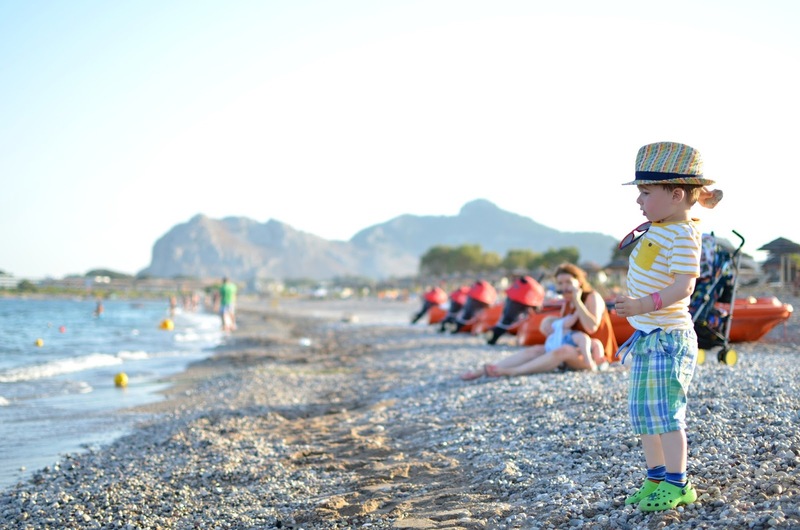 They are specialists in safeguarding your holiday and to give you the peace of mind you need when travelling with young children. Investigate what sort of room or villa you will be getting. If you're travelling with a baby or toddler there is nothing less relaxing than worrying about their safety in and around your accommodation. Will there be a mezzanine level? Will stairgates be provided? Is the pool fenced off? 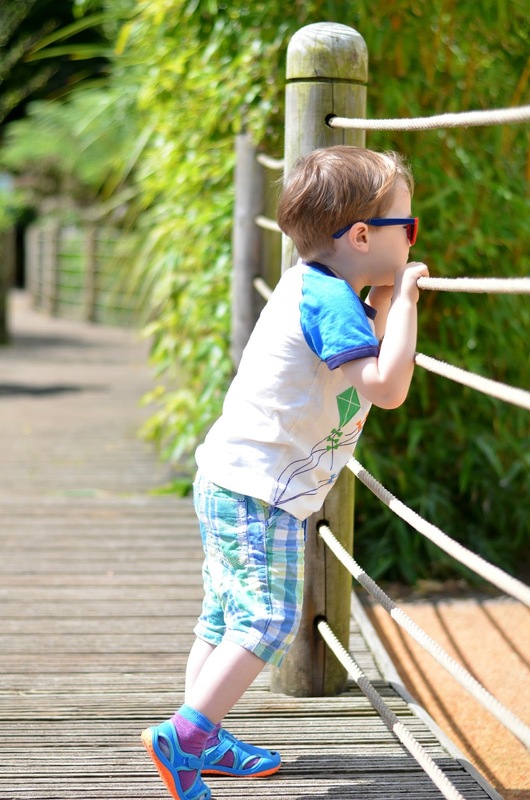 Tots to Travel perform a 30 point property safety check, and provide a whole host of safety equipment to give you that peace of mind. For us, it's crucial that whatever accommodation we book, there are two rooms within the suite or villa, that way we have the space to move around, and at night time, the boys can have a good night's sleep and we can sit in the other room and relax. For this reason, villas are a great option and can feel like a real home from home. Tots to Travel have a great selection of family friendly villas and with locations on the Balearics, Canary Islands, Cyprus, France, Greece, Italy Portugal, Spain and Turkey, there really is something for everyone. Plan ahead and research what you might like to do when you're away. Have a look online to see what there is to do in the area and how you might get there. Is there a public bus service and is it safe and convenient to get to the bus stop or would it be possible to hire a car to go out and explore the area for yourself? Make a rough itinerary for your week with a few things you'd like to do but don't try to cram in too much especially with young children. They get tired quickly when they're away from home, especially in warmer weather. To avoid meltdowns, it's important to keep the pace fairly slow. We like to look online to see if there's any child friendly activities to do or places to visit and plan in which day we want to do that. 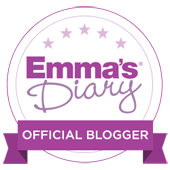 I love making lists and will spend weeks planning out what to take on our holiday, with separate lists for hand luggage and our main baggage. I make sure the hand luggage is light and easy to carry around the airport (a backpack is a must, especially when chasing around after a young toddler and a 3 year old, plus it makes a great bag to take to the beach for the day). Work out what baby and toddler equipment you'll need to take. We went on holiday shortly after LO had started potty training, so we took our potty around with us (including on the plane). Ask what is included, as it will save you a lot of space and hassle if you know what is provided. 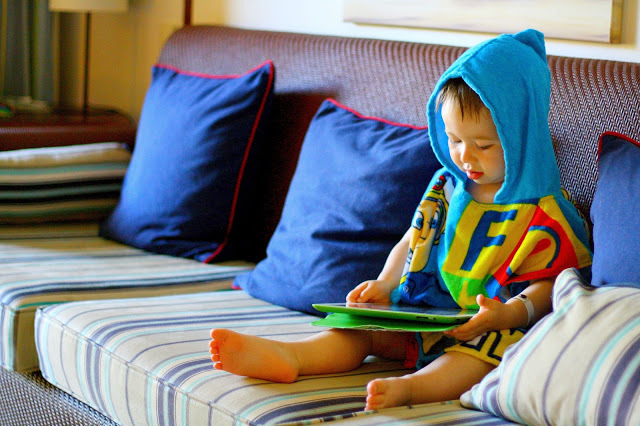 Tots to Travel provide a wide selection of equipment in all their villas to save you the hassle. I always buy a few cheap little toys to take on holiday. The boys love the surprise element of a new toy and it will keep them entertained, especially on the flight. A selection of snacks is an absolute must. We buy these at our local supermarket before we go and normally we will get breadsticks, some fruity snacks, a bagel and some raisins. Snacks have been our saviour on two trips- once when a 3 hour flight became a 7 hour flight and once when we were on a 4 hour coach transfer up the Alps with no comfort stop. I plan out the boys clothes for the flight, their outfits for the week, swimwear, and I even count out nappies so I know we will have enough. I always pack the boys' favourite cuddly toys and a snuggle blanket in their hand luggage. Planes can get cold and it also helps them to feel secure and more relaxed. The iPad is an absolute must have item for us. We load it with games and videos and pack it in the hand luggage for the flight. It's also great to have in the room as children do need a bit of quiet down time on holiday. We also pack a few books so that we can keep our normal bedtime routine. Pack a little first aid kit, any medicines your children need, plenty of sunscreen as it's so expensive abroad, moisturiser in case of sunburn, anti-bac wipes to wipe down highchairs, hand sanitiser, and plenty of baby wipes. Even if your little one isn't in nappies, baby wipes are so useful on holiday for so many things. I also tend to pack a sponge and a little bottle of washing up liquid just so I can clean bottles and the boys water bottles thoroughly. Depending on what time of day you're travelling, consider taking a packed breakfast or packed lunch with you as it will save on buying costly airport food. Investigate whether you can book into an airport lounge, especially if you're going on a long haul flight. We often book our plane seats in advance for a small additional cost so we can sit together. We delay boarding the flight as long as we can as it's no fun just standing around holding a heavy baby and a load of bags, and it also avoids being confined in aeroplane seats for longer than necessary. We like to take the boys for a walk around the airport and play i-spy through the airport windows. LO would sit for hours and watch planes. Think about what time you will be arriving at the hotel. If it's late, consider packing anything you will need for bedtime right at the top go your case to stop you having to rummage around your nicely organised case in the dark. Make use of the storage in the room. The first thing we do is to unpack and organise our belongings. It sounds so obvious but before we had kids, we used to just keep our things in our cases the whole holiday. It makes your daily routine so much easier if everything is tidy and the kids belongings are all organised. 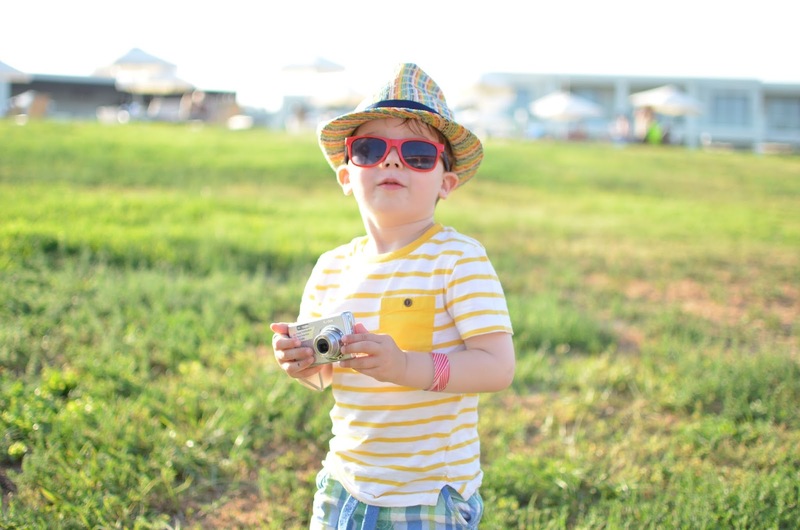 Take a little camera for your children to use and let them snap away to their hearts content. It's lovely for them to get involved in recording some holiday memories. Maybe encourage them to scrap book their advenures too- it will make a nice record of the holiday and they can take it into nursery or school when they get back.